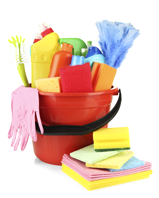 Cost Effective Cleaners, Factories, Building sites, Schools, Pubs, Shops Cleaning Services | Reliance Ltd.
Reliance-ltd.com continue to offer a wide range of services to cater for everyone's needs. These services can be tailored to offices of any size, factories, shops, schools, and many other types of commercial premises. Comprising of standard cleaning, window and carpet cleaning, builders cleans, floors and all our other types of services we provide. Whether you require a builders clean for a single house or flat, a hotel, commercial unit, offices or shops, reliance-ltd.com have the necessary builders cleaning skills and knowledge. We offer a professional carpet cleaning service using our hot spray extraction method. We can also clean upholstery as well as leather sofa's/chairs/matresses. Any of our services can be provided out of hours for your convenience.